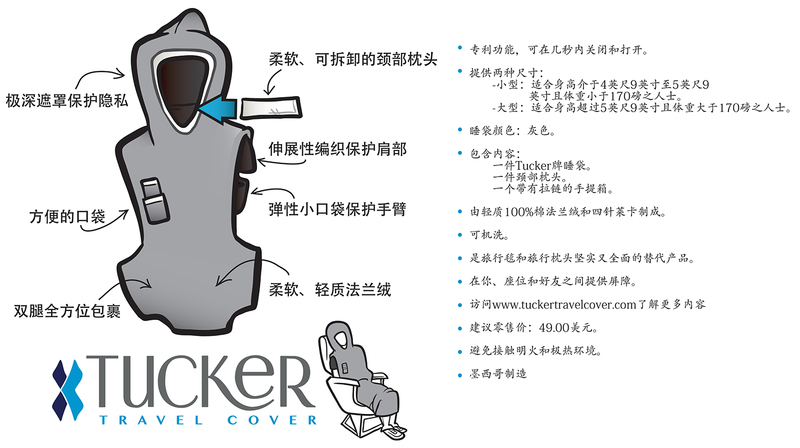 The Tucker Travel Cover was developed and designed by frequent flyers to solve a very common travel problem: lack of space and privacy, which can make flying uncomfortable. 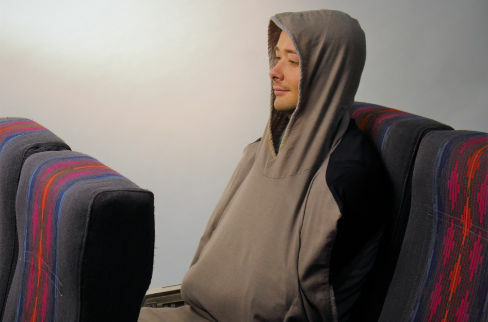 Its unique design will tuck the user into themselves in order to provide increased comfort, privacy and personal space. 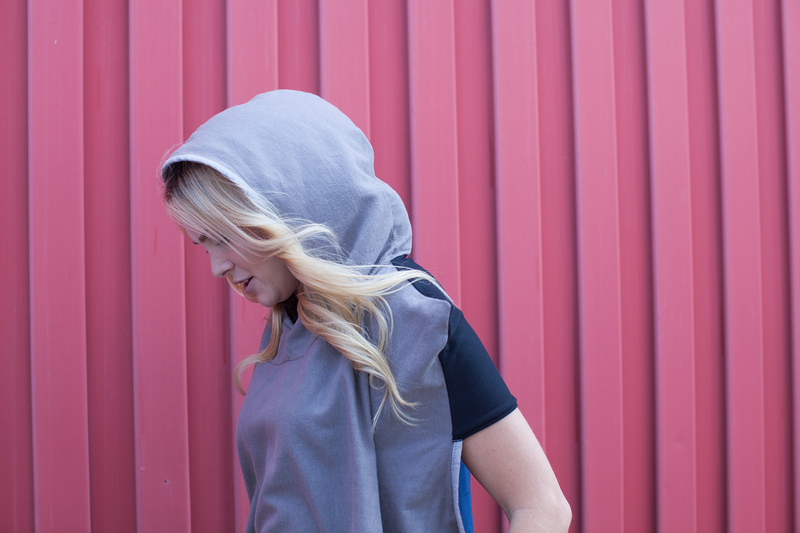 Tucker features a patented internal pouch made of stretch fabric which arms can tuck into easily. 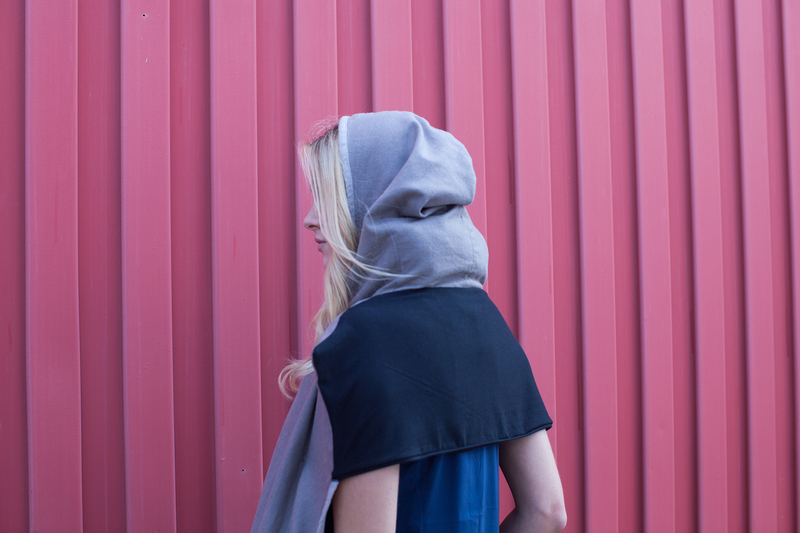 Flaps on both sides of the cover can be tucked under legs to keep them midline. 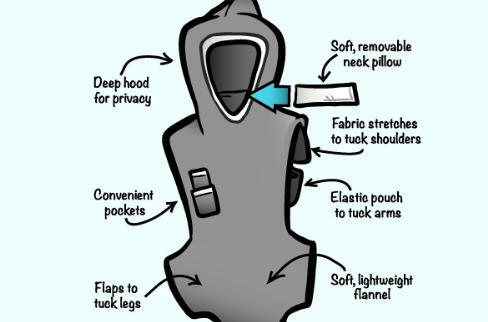 The back panel stretches around shoulders, adjusting to each user and helping to keep the cover in place, even when arms are out of the pouch and moving freely. 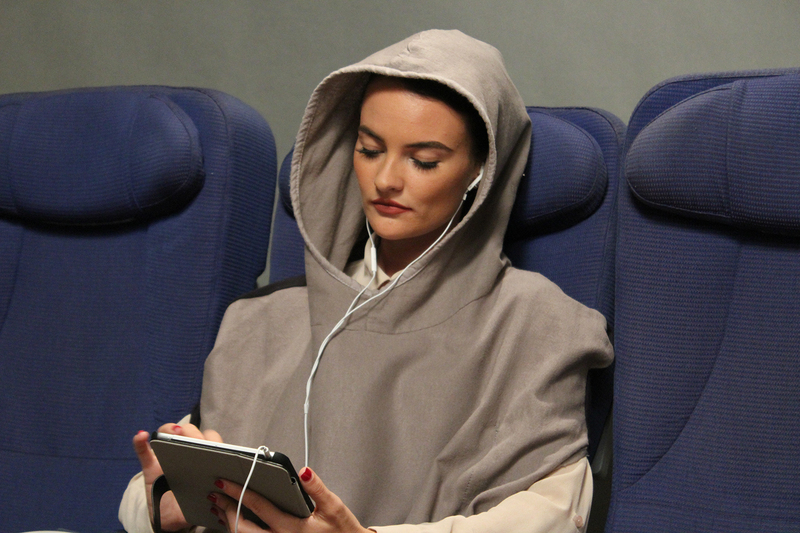 A deep hood provides the ultimate in plane travel privacy and a removable pillow can be used for neck comfort. 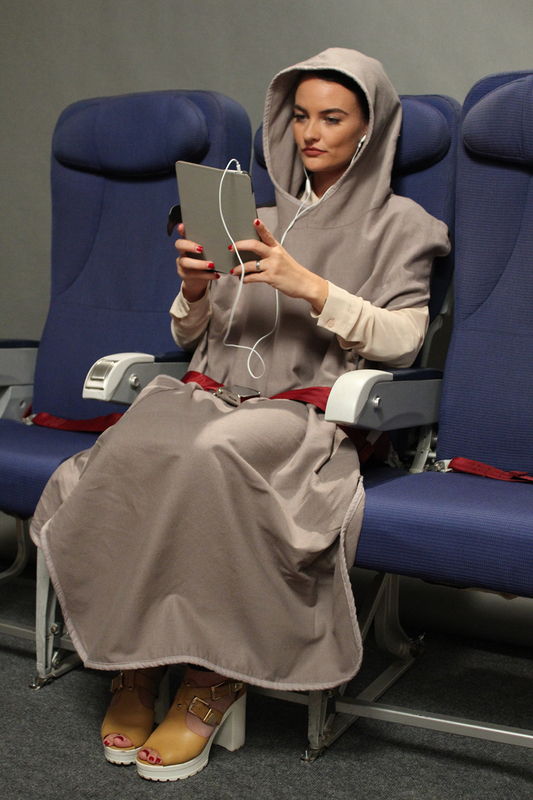 Two convenient pockets keep phones and other personal belongings secure and within reach. 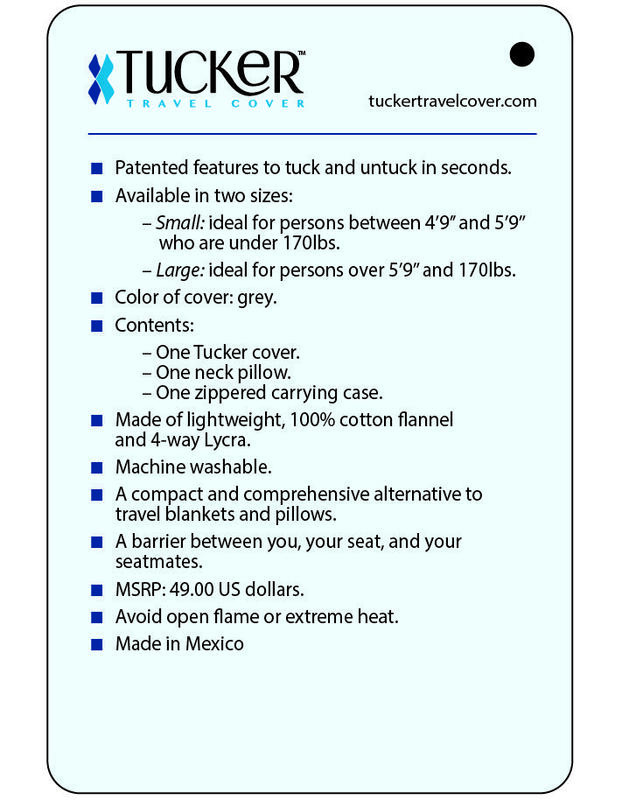 When it’s time to disembark, Tucker fits neatly into a washable carrying case that quickly attaches to luggage. What material is Tucker made of? At this time, Tucker only comes in gray. What sizes does Tucker come in? -Small: 45” length, 28“ width. -Large: 48” length, 34” width. -Pouch: 12” length, 12” width. -Pillow: 4” length, 10” width. Is Tucker Cover just for airplanes? 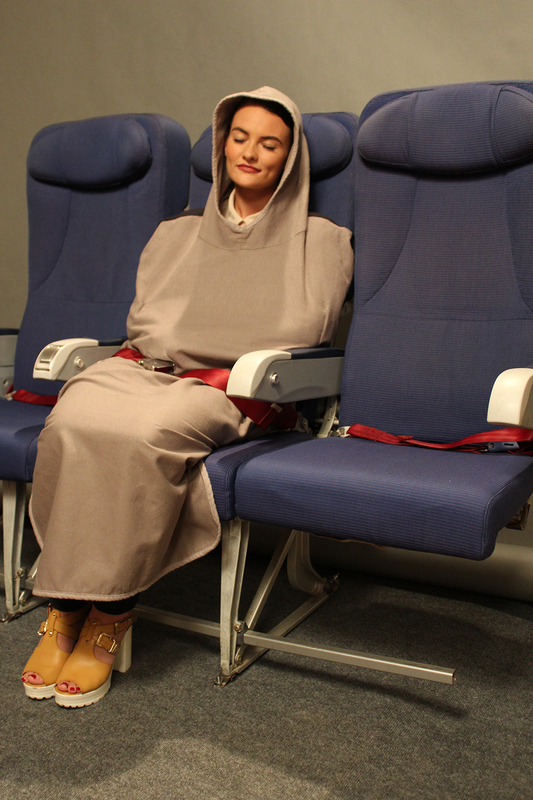 Tucker can be used anywhere the user wishes to sleep in a cramped space or upright position. 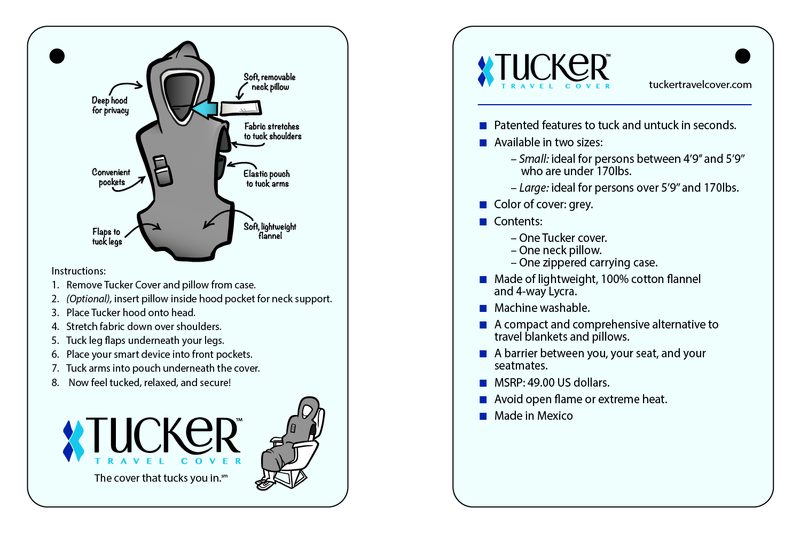 Tucker is great for the car, bus, train, plane and even a waiting or hospital room where one must sleep upright in a chair. 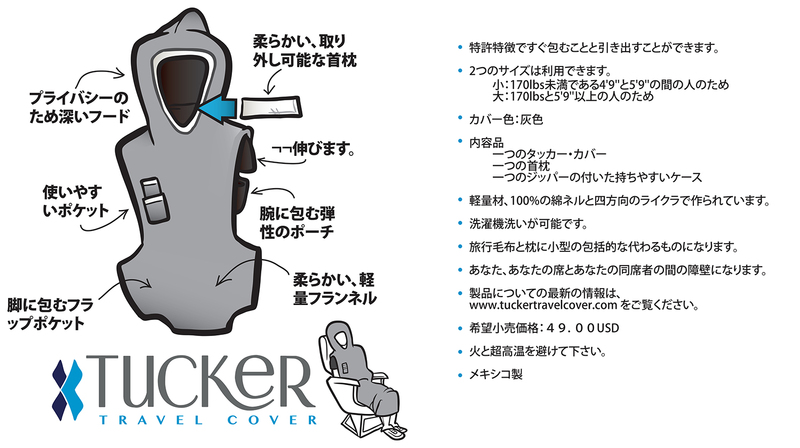 Tucker can also be used while camping or hiking to take a quick rest. Is Tucker washable? How do I fold the cover and put it back in its case? 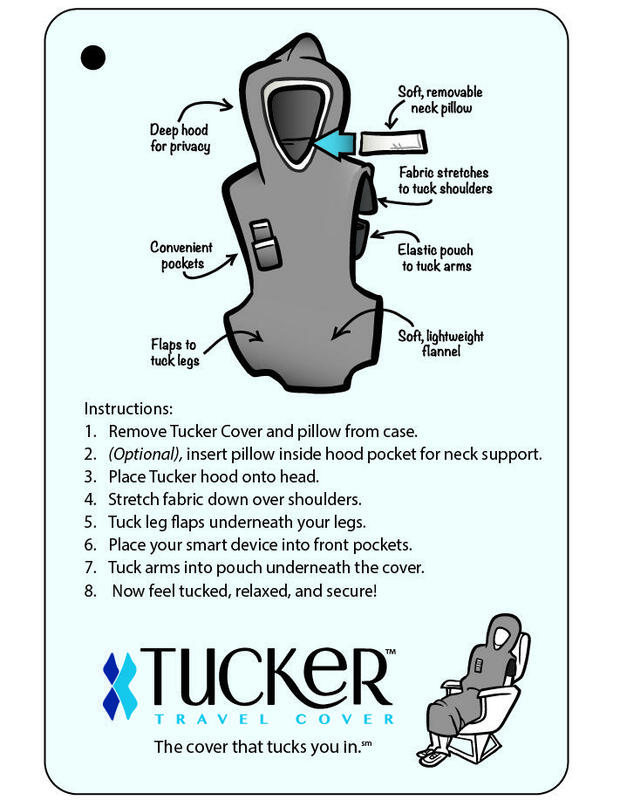 The Tucker and it’s carrying case are both machine washable. Machine wash cold with like colors. Do not bleach. Tumble dry low and remove promptly or allow to air dry. Warm iron if needed. 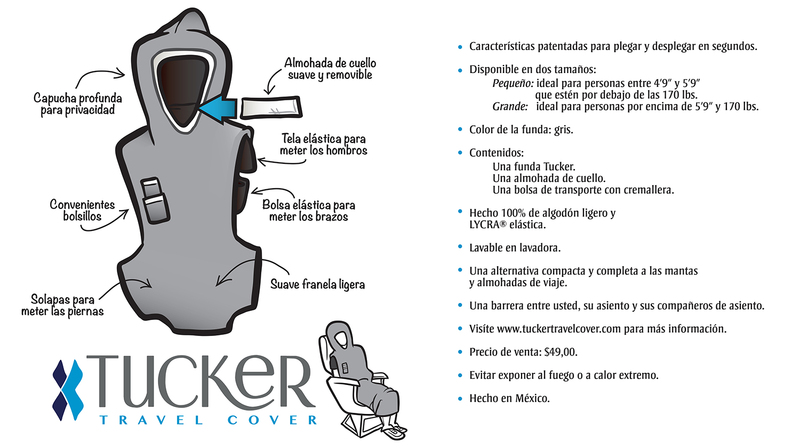 Click here to learn how to fold the Tucker Cover and repack its carrying case.